Be picked up from your Hobart accommodation at 8am. Depart Hobart and travel 30-minutes down the Southern Outlet and Channel Highway to Kettering; the gateway to Bruny Island. Travel on a 10-minute vehicular ferry crossing of the D’Entrecasteaux Channel, arriving at Roberts Point Bruny Island. A timber stepped boardwalk that takes you to some of the most spectacular 360° panoramic views of the Bruny Island coastline. 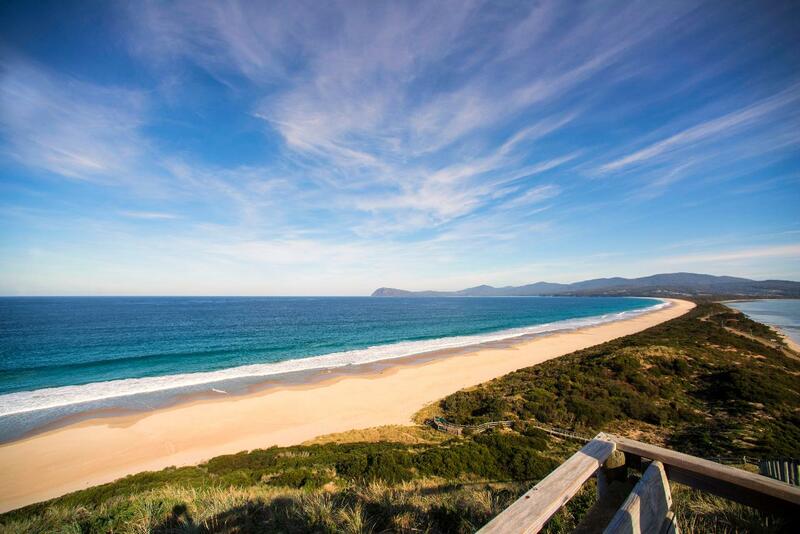 Within South Bruny National Park one enjoys wild seascapes and sweeping surf beaches. The lighthouse stands out as a beacon; built between 1836 and 1838 with convict labor. A 20-minute return easy short rainforest walk. Take a leisurely stroll along the sandy beach. Your group will then return to the ferry terminal and continue the journey back to Hobart.